ROCHESTER, N.Y. – A successful year-long partnership between Foodtown, a New York metro-based independent grocery chain within the Allegiance Retail Services cooperative, and Freshop, a comprehensive grocery e-commerce and website solution, has grocery shoppers looking at their experience in a new and exciting way. 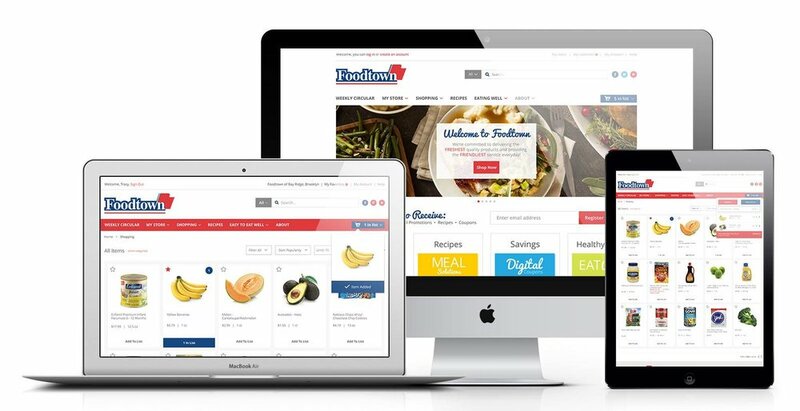 Thanks to the retailer’s partnership with Freshop, Foodtown shoppers experience the same grocery shopping experience through Foodtown’s website as they do when they visit Foodtown brick and mortar stores. "I would recommend Freshop to any independent grocer looking to get into online shopping, said Noah Katz, co-president at Foodtown/Freshtown Supermarkets. They’ve helped our website transition from a place where customers could learn about groceries to a place where customers can shop for groceries." "We went from having an informational website where customers could learn about our company, to a website that is truly an extension of our in-store experience, said Katz. “The Freshop team are experts in e-commerce, and they know grocery, so they are able to implement something that works well for our customers and is perfectly aligned with all of our in-store systems and circular." Freshop is continuously adding new features to enhance the customer’s shopping experience. In August 2015, Freshop recommended and added a new banner feature across each Foodtown store’s homepage website, which lets customers know that if they placed an online order now, they could have their groceries at their doorstep by the next available delivery time. This feature called “Foodtown On-the-Go!” resulted in a significant increase in sales in just the first week. Freshop is the online grocery provider for many members of the Allegiance co-op. Foodtown was the first retailer within the group to implement the Freshop solution, and since then Freshop has been challenged to develop unique solutions for other retailers within its membership. Allegiance has reported a 50 percent increase in online sales in the last year, due to its relationship with Freshop, as well as its own increased commitment to implement e-commerce. "Freshop was the right solution for us,” said Patricia Youchock, director of Marketing and Advertising at Allegiance Retail Services. We handle so many unique store identities and needed a provider that was nimble enough to develop custom solutions when necessary. We love that we have total access to Freshop’s executive team. They make things happen and offer exceptional support to our retailers." "Customer service and a universal shopping experience are of the utmost importance in grocery, said Brian Moyer, CEO of Freshop, Inc. Freshop continuously innovates and updates our solution to ensure our clients are successful. The independent grocery marketplace is extremely competitive. Independents must compete with other local stores and established e-commerce giants’ online grocery shopping and delivery offerings. At Freshop, we guarantee a seamless online planning and shopping experience that can be tailored to each store’s unique customer base. This customization ensures each store has a competitive advantage."